What do you think Widowmaker does on her day off? She spends so much time on the battlefield, that she must have a pretty good plan of action for relaxing between missions. Maybe she relaxes on the couch for a nice movie night. Perhaps she spends her furlough hiking in the woods. She might head to the mall to get some shopping done. Oh, wait! We know what Widowmaker probably does. She’s most likely spends her day off counting her bullets and cleaning her sniper rifle! Well, whatever she spends her time doing, you can bet she isn’t running around in her tactical outfit. She probably wears something a bit more comfortable. Of course, she’d still be sporting a style befitting of her cold-blooded nature… perhaps something like this Overwatch Widowmaker hoodie! 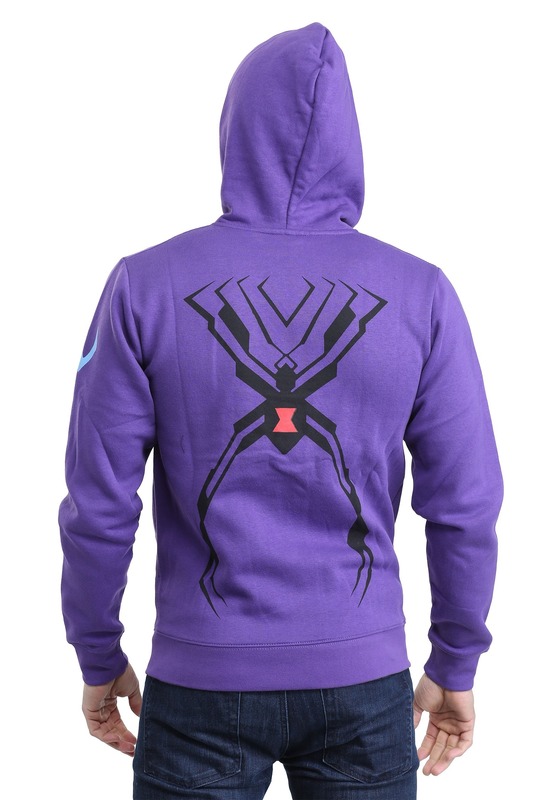 This licensed hoodie is designed to give you a more casual style based on Widowmaker. It’s a standard zip-up style hoodie that has Widowmaker’s visor printed on the front. It also has her devious black widow symbol printed on the back. 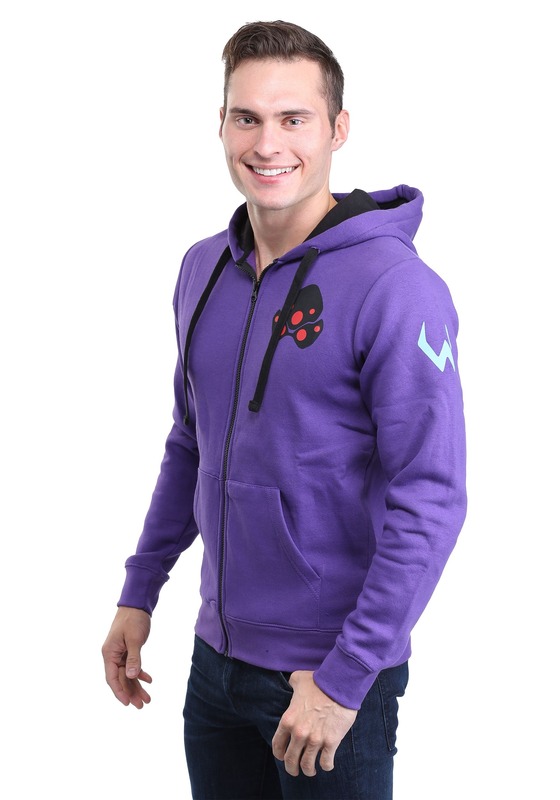 Whether you’re a cool and calculating agent working for Talon, or you’re just a fan of Overwatch and you need an outfit to wear in the fall weather, this Widowmaker hoodie will be perfect for you!